As a child of the Sixties, I grew up in an era when Mr Lee Kuan Yew was larger than life. He was revered, he was feared. Today’s generation knows of Mr Lee as a paternal figure, venerated for his wisdom and remarkable contributions to Singapore. His latest book, One Man’s View Of The World, once again assures us of his undoubted and undiminished intellect. Reading the book, however, gives me great discomfort. I have long craved for some inkling of his sentiments and frailties because he is, after all, just a man. Yes, logic is all or nothing to Mr Lee, even in the twilight of his years. I think of Nelson Mandela who is universally beloved, never feared. His life is well documented, so his triumphs and his faults are there for all to see. He has become an everyday hero, a beacon of hope, forgiveness and conciliation. Mandela is reassuringly human. We cherish and love him – even from afar – because he represents the notion of a greater good. 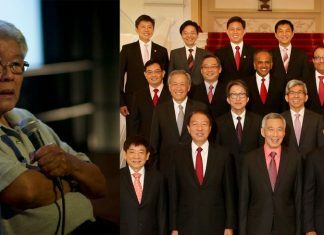 As a proud Singaporean, I would dearly love to love Mr Lee. After all that he has done, why is it so difficult – almost impossible even – to connect “beloved” with Mr Lee? My thoughts turn to a novel which I first read 15 years ago, The Remains Of The Day by the Japanese-born British writer Kazuo Ishiguro. The novel’s narrator, Stevens, is the perfect English butler. Snobbish and humourless, Stevens has devoted his life to the concept of duty and responsibility, hoping to reach the pinnacle of his profession through totally selfless dedication and ruthless suppression of sentiment. Logic says that it is just a novel and Stevens is just a fictional character. Whilst Mr Lee carved his own path and can equally be said to have devoted his life to the concept of duty and responsibility, and certainly reached the pinnacle of leadership, sentiment tells me that fiction mirrors truth and knowing the key to human warmth can mean absolutely everything.